Dennis J. McCreight, CAMS is a highly decorated, retired Lieutenant from the New York City Police Department, leveraging 20+ years in investigation, management, and law enforcement. He was the Commanding Officer of Brooklyn South Homicide Task Force in addition to multiple precinct detective squads throughout NYC. He is a recipient of ‘The Medal of Valor’ in addition to numerous accommodations throughout his career. Dennis is certified as an Anti-Money Laundering Specialist. Additionally, he has effectively handled identity theft, accident and medical fraud investigations. 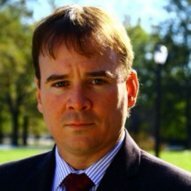 Dennis has served as an integral role in the creation of new methods for handling identify theft cases, mapped out tracking and investigative techniques to quickly resolve mortgage, credit card, and bank card fraud. He leveraged online technology, video, and traditional detective work to uncover, not only thieves in cases, but also to identify and alert victims of crimes. Dennis has worked hand in hand with the FBI, DEA, US attorney’s office, District Attorney’s Office, US Marshals office, and multiple jurisdictions across the country and in France, Russia, Holland, Mexico, and the Dominican Republic.